Despicable Me 3 – Action-packed, laugh-out-loud funny, family movie! After he is fired from the Anti-Villain League for failing to take down the latest bad guy to threaten humanity, Gru finds himself in the midst of a major identity crisis. But when a mysterious stranger shows up to inform Gru that he has a long-lost twin brother-a brother who desperately wishes to follow in his twin’s despicable footsteps-one former super-villain will rediscover just how good it feels to be bad. KIDS FIRST! Film Critic Katherine S. comments, “I love this movie! It is a funny, fast-paced film about Gru and his family discovering his charming, long-lost twin brother Dru.” Madeline R. adds, “It is an action-packed film that is entertaining from beginning to end! It is an excellent sequel to the two other Despicable Me films and the Minions. But to love this film, seeing the others is not required. It is great all on its own!” See their full reviews below. I love this movie! It is a funny, fast-paced film about Gru and his family discovering his charming, long-lost twin brother Dru. After Gru and Lucy lose their jobs and the Minions quit, the brothers team up against Balthezar Bratt, the new villain, while Lucy and the girls have some of their own adventures. My favorite scene is when Gru and Dru attempt to break into Bratts’ headquarters. Dru, who isn’t used to the idea of a heist, continuously messes up the plan. Its laugh-out-loud funny! The long lost twin brothers are two of my favorite characters, brilliantly voiced and acted by Steve Carrell. I also love Gru’s wife Lucy voiced by Kristen Wiig. Now of course we can’t forget Balthazr Bratt (Trey Parker), an old school villain determined to get revenge on Hollywood for canceling his hit TV show in the 80s. Gubble gum that blows up on impact is his choice of weapon. His purple pantsuit inspires him to break into an 80s song. You can imagine that he is a fun character and, I think he is very good addition to this movie. You want him defeated, but you enjoy thinking what he might do next. Although the good guy/bad guy element of the movie is slig htly predictable, I would definitely go see it again. The music in this film is all around great. The villain Bratt is stuck in the 80s and constantly breaks out in dance whenever there is 80s music. I know adults will remember those songs. In addition there are Pharrell Williams’ awesome new songs. Illumination Studios nails it again with so much creativity, great animation and new characters to join the familiar ones. The Minions are adorable as always! I give this film 5 out of 5 shining stars and I recommend it for ages 5 to 18 because of its laugh-out-loud, but not crude humor, creative plot twists, fabulous acting and great music. Though it’s the 3rd sequel, it doesn’t matter if you didn’t see the previous films. It is great on its own!! Check it out when it opens June 20, 2017 in theaters nationwide. I love this movie. It is an action-packed film that is entertaining from beginning to end! It is an excellent sequel to the two other Despicable Me films and the Minions. But to love this film, seeing the others is not required. It is great all on its own! Despicable Me 3 picks up where Despicable Me 2 left off and takes us on an exciting new adventure. After Gru and Lucy get fired by the new boss of AVL (Anti-Villain League), the Minions want Gru to return to a life of crime. Instead, they are taken on an adventure to find Gru’s long-lost twin brother Dru! Gru, Lucy and their three kids fly to his brother’s house in Freedonia. As soon as they walk in, they notice Dru has an extravagant lifestyle, very different to the one they’re used to, with lots of awesome vehicles. My favorite scene is when th e Minions are running from the police and end up on a television show called Sing. There are three judges waiting for them to start and, at first the Minions don’t want to sing. When one Minion gets pushed to the front, he starts singing and all the others join in. Shortly after, the crowd and the judges love them. It is hilarious! Although, I love the Minions, my favorite character is Lucy, performed brilliantly by Kristen Wiig. She is such a fun, high-spirited person and she is always the one to come in and save the day. I also think Balthazar Bratt, the new villain, is a great addition to the film. He starts out as a child actor in Hollywood until he is kicked off the show as a teen. He then thinks and acts as if he is the evil charact er he played on TV and starts destroying and stealing things. Gru and Dru decide to take down Balthazar Bratt and carry on their family tradition as special agents. The animation in this film is fantastic. It allows for creativity that live action films just can’t achieve. Balthazar Bratt’s bubble gum guns are a great example of that, especially when they blow up Hollywood. I love how the hundreds of Minions change their expressions, their color or their clothes, especially when they change from their jail jumpsuits to their overalls. The music is awesome. It’s a fun mix of Pharrell Williams’ new songs and 80s music that adults are sure to remember! this movie is very family friendly. I recommend it for ages 5 to 18. Many teens and adults will enjoy it as well. I give it 5 out of 5 stars. It’s a super fun summer film that opens nationwide in theaters June 30, 2017. Go check it out. I hope you enjoy the movie. Posted in Feature Film Reviews | Comments Off on Despicable Me 3 – Action-packed, laugh-out-loud funny, family movie! Humans are at war with the Transformers, and Optimus Prime is gone. The key to saving the future lies buried in the secrets of the past and the hidden history of Transformers on Earth. Now, it’s up to the unlikely alliance of inventor Cade Yeager, Bumblebee, an English lord and an Oxford professor to save the world. KIDS FIRST! 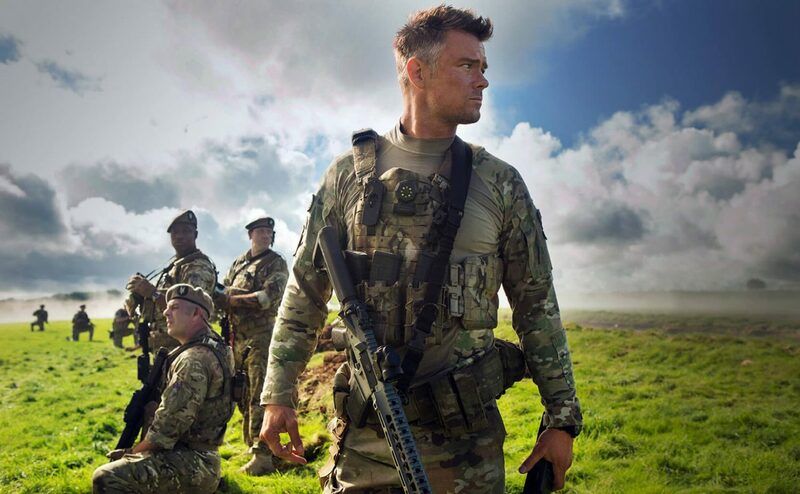 Film Critic Nathaniel B. comments, “This latest installment is part of the action packed Transformers series that I love because of the captivating work of the transformers’ team. Seeing it in IMAX is even more mind-blowing.” See his full review below. This latest installment is part of the action packed Transformers series that I love because of the captivating work of the transformers’ team. Seeing it in IMAX is even more mind-blowing. 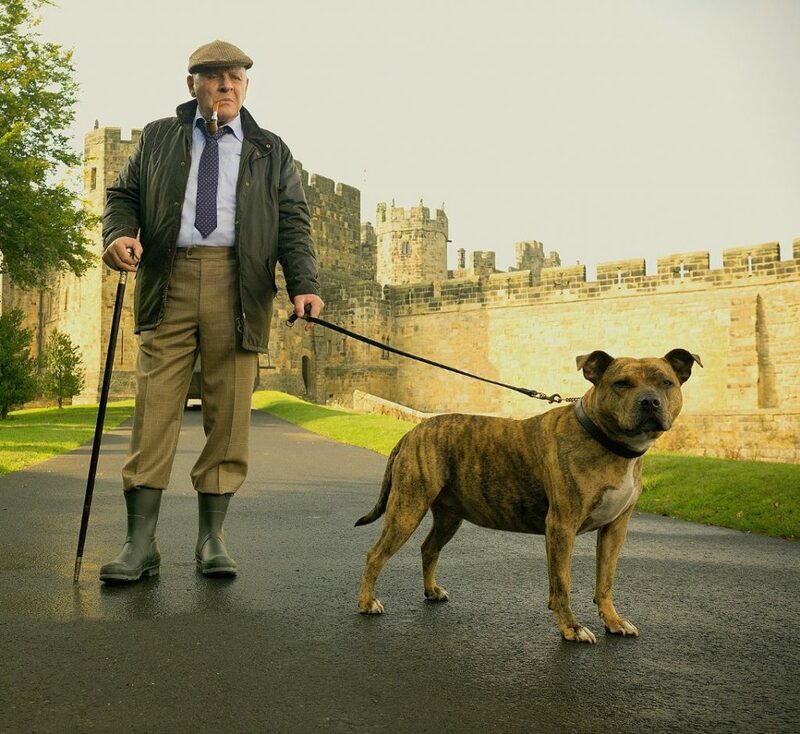 As well as the great cinematography, this film has hyper-realistic imagery that makes it ten times better. This film has many great things in it, but a big problem I have with it is that it has too many things happening. By that, I mean there are new characters, lots of transformers, lots of different storylines and multiple things happening at the same time. These are all great, but there is a limit to how many things can be in a movie. This film isn’t quite over the top, but close. 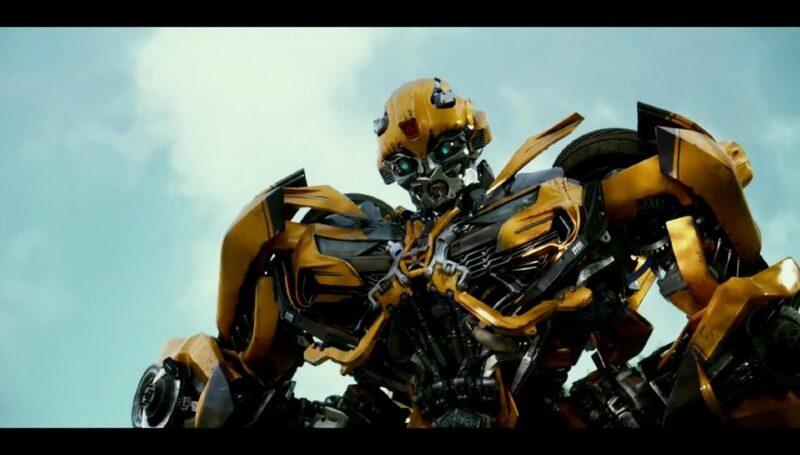 Some of the new characters include Izabella (Isabela Moner), a young girl who is interested in transformers and quite skilled with machinery, Vivian (Laura Haddock) an teacher from England who has a large role in saving the world. Cade Yeager (Mark Wahlberg) is also in this film as a returning character. 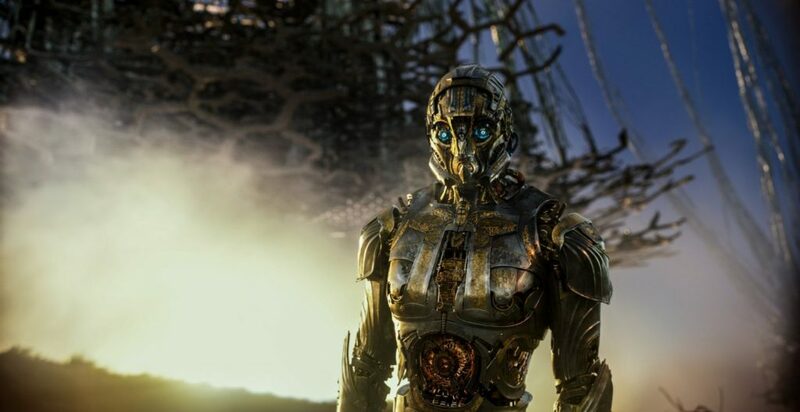 He was in the fourth movie, Age of Extinction. This film has an interesting storyline and is fun and cool. An interesting name twist occurs when a main character, Optimus Prime becomes Nemisis Prime when he is evil. Nemesis Prime is the leader of the auto-bots, a good group of transformers. The strategy of turning a good guy bad is a great strategy to attract viewers of the film. This movie does a cool, sneak-peek into history. It talks about medieval times and the knights of the round table. That is a primary plot which explains why this movie is called The Last Knight. It is cool to incorporate history into the film as it adds a little extra something to it. For example, in the first film, there is a cool kind of conspiracy part which I won’t describe because it would be a spoiler. It is well acted and well executed with beautiful special effects and nearly non-stop action. You don’t really have a chance to reflect on what or why this crazy and confusing story bounces around from one country to another, landing deep in the ocean and then suddenly reappearing at Stoneh enge, England. Even though it’s hard to know who is shooting at whom or for what reason, somehow it’s still enjoyable to watch and even gripping at times. Overall, this is a great film. It is cool, fun and has a lot to it, even if it may be a little too much. I recommend this film for ages 9 to 18. There are some adult jokes and violence, but they are not too bad. I give it 5 out of 5 stars. 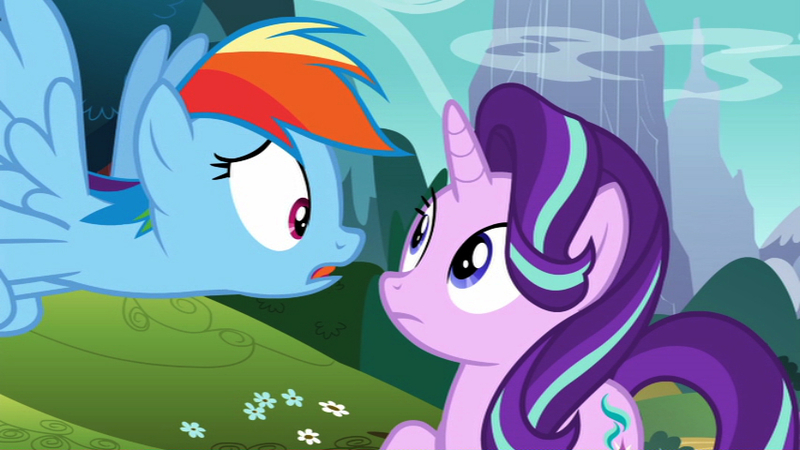 My Little Pony Friendship is Magic: Twilight and Starlight is a very positive show. I love how friendship is always the main theme with these magical ponies. I also love how, in each episode, there is a lesson to learn about friendship and how to apply the skills throughout life. Kids will definitely enjoy watching the Equestria girls and learn more about the journey of friendship. Twilight Sparkle is determined to prove to everyone that making friends is an easy thing to do and how magical friendship is. A changed Starlight Glimmer visits the land of Equestria, hoping to develop a friendship with any pony. Twilight is ecstatic to help her throughout her journey and is willing to lend a helping hoof. 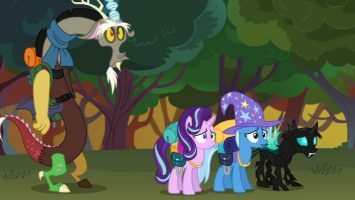 Although Starlight faces various challenges throughout the episodes, Twilight and the Mane 6 will do whatever it takes to make sure that Starlight succeeds in making new friends. 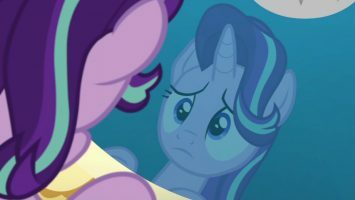 Each episode is purposeful, but my favorite is the third episode when Starlight finally realizes who she is and what she is capable of doing in life. At first, Starlight is scared to return to her old town because she is afraid of what people might think of her and how she may even change back to her old ways. She is then forced to look at herself as a pony when her friends and other civilizations of the world are captured by the naughty changelings. 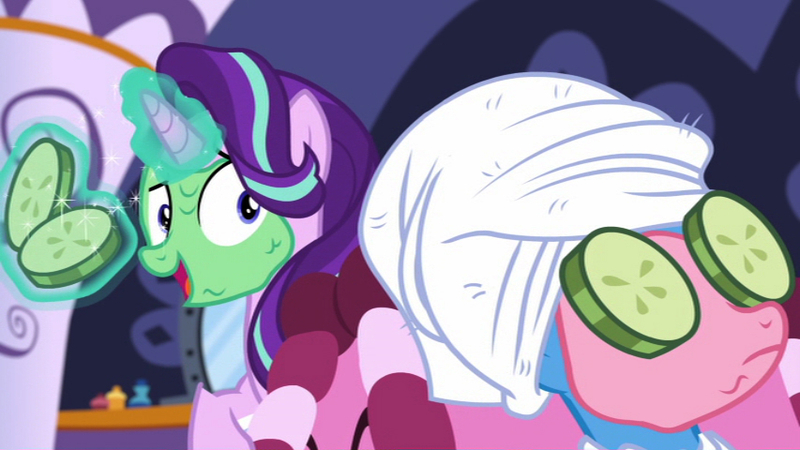 You can obviously tell that Starlight wants to change from her old ways, but is too scared to accept it. I like how, at the end, she learns the true meaning of friendship on her own and that it is okay to change! The overall message expressed throughout every episode is about dealing with friendship. Twilight continuously tries to show Starlight that it is possible to make friends, even with a bad past. People can be very understanding and tend to give others a chance to explain themselves. That’s exactly what Twilight tries to explain to Starlight. Kids will be able to learn from this DVD how to make new friends and how to reconnect with old ones. I recommend this fun-filled DVD for ages 4 to 6. I also encourage parents and older siblings to w atch the episodes with their younger siblings to learn a few things about the magic friendship has to offer. They may even be able to apply some of the skills and lessons they learn from the show. I rate this DVD 5 out of 5 stars due to its vibrant colors, magical storyline, amazing cast, educational lessons and so much more! This lively DVD is available now so, check out. Please enjoy this as much as I did! As usual, My Little Pony doesn’t disappoint. This particular DVD has 5 episodes, there are two 2-parters and then a standalone episode. Obviously these specific episodes focus heavily on Twilight and Starlight. The animation is fantastic and the voice acting is on point. The songs are very cute and catchy. One episode set focuses on the idea that you can’t force someone to be your friend, which I thought to be quite interesting. I have not seen that topic brought up in a kids program before and, it is definitely a topic that should be addressed. The only complaint that I have about this DVD is that it bounces around multiple seasons of the TV seres. Pretty much all of the DVDs do and I suppose they need to bounce around to gather enough episodes about a specific situation or character, but it gets confusing sometimes. All in all, it is a pleasure to watch. I recommend this for ages 5 to 13 and it probably appeals to girls more than boys. But, then, there are Bronies. I happily grant it 5 out of 5 stars. 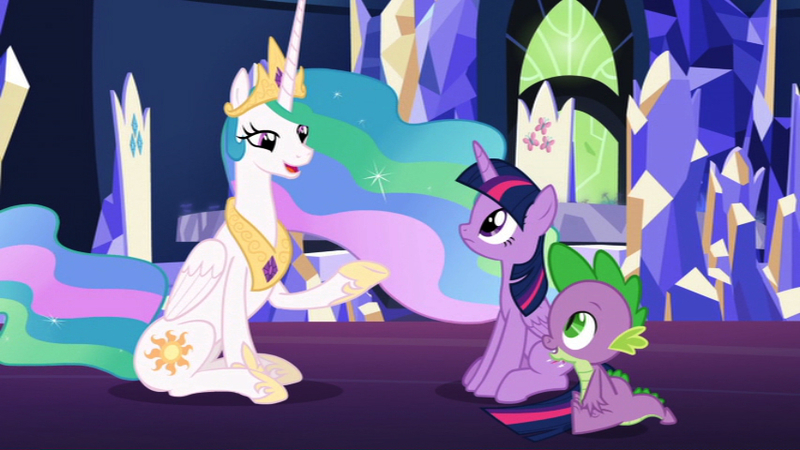 My Little Pony Friendship is Magic: Twilight and Starlight was very pleasant to watch. 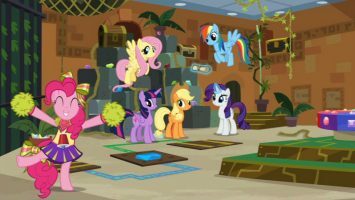 The different styles of the various ponies is enjoyable because their personalities really shine. In media, I always look for the humorous side of things which happens throughout the six episodes on this DVD. Every episode also addresses the challenges in finding friendships. On this DVD, we see Twilight helping a new pony Starlight, who wants to exchange her bad bone for a good one. The problem is that she doesn’t have any friends to influence her in making good choices. This is where Twilight comes in, helping her find a friend named Trixie that’s not so bad in the end. Its cool to see how much Starlight grows in her friendships as the shows unfold. That is only some of what happens in the five episodes filled with messages about everlasting friendships. Starlight Glimmer, the pony who is new to the friendship thing is voice acted by Kelly Sheridan. Her mentor Twilight Sparkle is voice acted by Tara Strong. 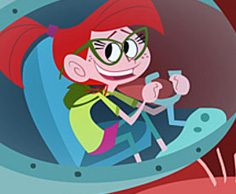 Kathleen Barr stars as Trixie, a close friend of Starlight’s. I enjoyed the color, crisp voice acting and the animation. There is a delightful twist to the way each pony is designed to make them different from the other ponies. My favorite part is when Twilight is challenged by the deep connection she has with her new friends. She could either explore a path of her own or save her new friends and go on a whole other path. You have to watch the show to catch the details. The message of this DVD is that friendships can help you in many ways. It’s a great message for any child. I give this DVD 4 out of 5 stars. It is interesting to watch and, you’re a My Little Pony fan, this DVD will be particularly interesting and cool. I recommend it for ages 8 to 12. This DVD is available in stores now, so go check it out. Unknown to the world, Thomas Edison built a secret lab where he invented a virtual version of himself and a steampunk robot named Von Bolt. Years later, Angie, a twelve-year-old science prodigy, discovers the lab. While visiting one of Kent’s relatives, the kids come up with a great idea for attracting more tourists to his restaurant – the only catch is that it also attracts a very big shark with very big teeth! What will the Secret Lab Kids do? 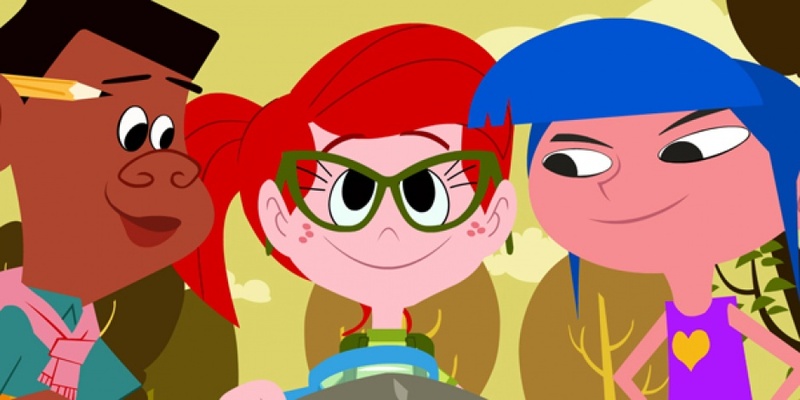 Guided by fun-loving Edison, Angie and friends will show just how fun science can be. KIDS FIRST! Film Critic Jolleen M. comments, “I love all of the puns and the jokes. I thought that they were very funny. I also thought that it was awesome that everything tied in with learning, so that you could enjoy watching the movie while learning new things about science.” Carla P. adds, “The show has cool features that I’ve rarely seen on a TV show. At the end of every episode, they have a music video recapping what they learned in that episode.” KIDS FIRST! Adult Juror, Rachael V. wraps it up with, “This collection is called “​It’s Always Sharkest” because it features an episode regarding a shark​’​s sense of smell. Thinking about subjects ​such as​​ DNA and ​radioactive ​decay​ doesn’t ​seem to be very appealing to younger ​kids, but these episodes change that. It gives a very hands on, kid friendly approach to not just learning about these subjects, but enjoying the adventure along the way.” See their full reviews below. This film is very educational and humorous. I love all of the puns and the jokes. I thought that they were very funny. I also thought that it was awesome that everything ties in with learning, so that you can enjoy watching the movie while learning new things about science. Thomas Edison’s Secret Lab is about Angie and her friends who discover Thomas Edison’s secret lab. They go on multiple science adventures to learn how to solve their problems in everyday life. They go back in time, shrink to be super small, go snorkeling and even go inside animals’ bodies to learn as much as they can about their situation to help solve their problem at home. Phillipa Alexander (Angie), has a voice of a child, which is probably why they chose her for the role of Angie. Phillipa Alexander’s voice can sound nerdy and smart or be used to sound enraged and mad. Shash Hira (Kent) can make his voice sound small and awkward. He portrays Kent as an intimidated character. The animation in this movie is not that good. When they talk, their mouths mostly just move up and down. The arm movements they do are also really repetitive. Overall, the movements for the characters and scenery are not very life like. But, I don’t think a young child will mind. This movie is made for younger audiences, but the science they teaching is suitable for older kids. My favorite part of the movie is when Angie and her friends shrink and go through the process of pollination. It looks really cool to see how pollination works, when you are super small actually see the inside of the flower and bee hive. The message of this film is to accept yourself for who you are, and to realize that science isn’t lame and can actually be useful. When Angie was building a robot for a competition, the opponents were calling her a geek and science nerd. But Angie isn’t discouraged and actually likes that she knows a lot of things. She doesn’t let them distract her and ends up winning the bot fight. You can learn a lot from this show. I give this DVD 5 out of 5 stars and I recommend it for ages 8 to 12. The animation and plot seem suitable, but the science and vocabulary is more suited for older children. It’s on DVD so, go check it out – especially if you love science! I like Thomas Edison’s Secret Lab: It’s Always Sharkest because it is an educational show, has very unique features and really good animation. This show is about a group of kids and a few robots that do scientific research. They do it in a secret lab that Thomas Edison left behind with a digital version of himself. They do research about a shark’s sense of smell. When the group gets into situations where they mess up on a project or experiment, they always find a way to fix it. And, they have adventures with famous scientists such as Charles Darwin. The show has cool features that I’ve rarely seen on a TV show. At the end of every episode, they have a music video recapping what they learned in that episode. I’ve only seen this once before on Bill Nye’s old TV series. The only thing different between Thomas Edison’s Secret Lab: It’s Always Sharkest and Bill Nye’s music video is that Bill Nye did a parody of popular songs while the songs on this show are all original songs. T he animation reminds me somewhat of the TV show The Fairly Odd Parents. Both have similar animation styles. They both look sort of like paper cutouts. Furthermore, I like how the robot’s actions are animated. 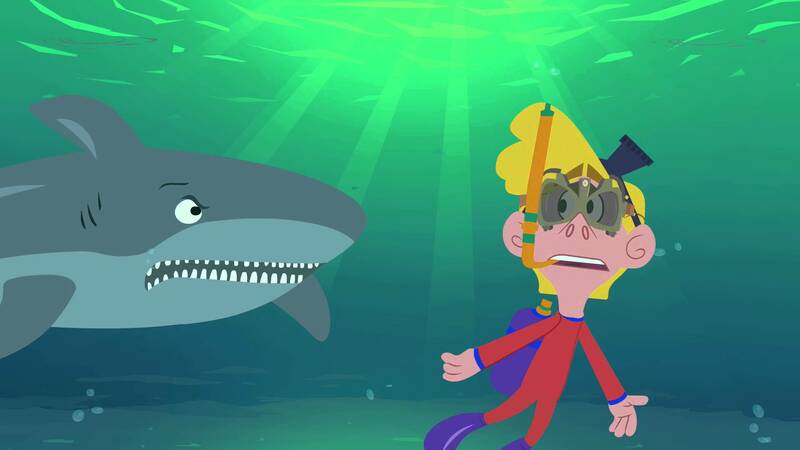 In the first episode, one of the robots is almost eaten by a shark so he spins out of control to try to get away from the shark’s mouth. I thought that was hilarious, seeing him spin out of control. 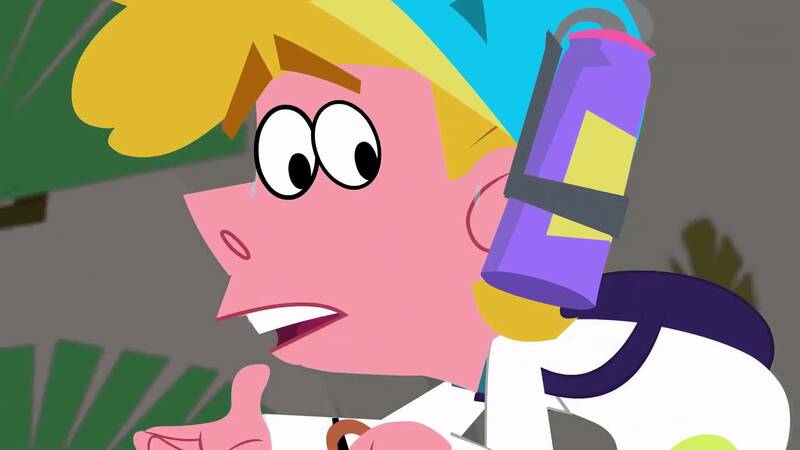 The message of the show is to find ways to fix problems and it encourages kids to appreciate and learn more science. In the first episode, the group tries to make a slide but fails because there was too much friction. 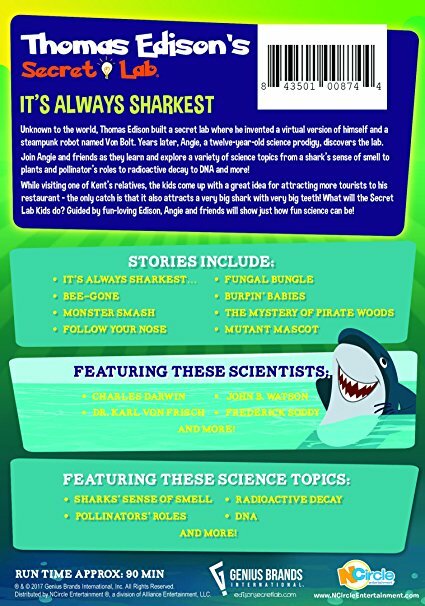 The whole series is based around science and boosts kids’ interest in science. The program shows how science can be fun. I rate this show 4 out of 5 stars and recommend it to ages 6 to 9. It is available now on DVD so, go check it out. Reviewed by Rachael V., KIDS FIRST! Juror. I’ve been lucky enough to review two of the Thomas Edison’s Secret Lab DVDs and I just love them. As a kid I always loved science class, but I know that not everyone did. There were lessons that appealed to me less than others and I was lucky enough to have ​shows such as Bill Nye the Science Guy and The Magic School Bus​ to inspire me​. ​This collection is called “​It’s Always Sharkest” because it features an episode regarding a shark​’​s sense of smell. Thinking about subjects ​such as​​ DNA and ​radioactive ​decay​ doesn’t ​seem to be very appealing to younger ​kids, but these episodes change that. It gives a very hands on, kid frie ndly approach to not just learning about these subjects, but enjoying the adventure along the way. One of my favorite things about this program is meeting the creators take on other scientists like Darwin and Watson. The animation is phenomenal and the lessons learned are even better. I​ recommend this to kids ages ​5​ to 12, but ​make no mistake, ​I greatly enjoyed learning new things and relearning things I had long forgotten. If I could ​rate this higher than 5 stars I would, but since I can’t​, I give it 5 out of 5 stars! 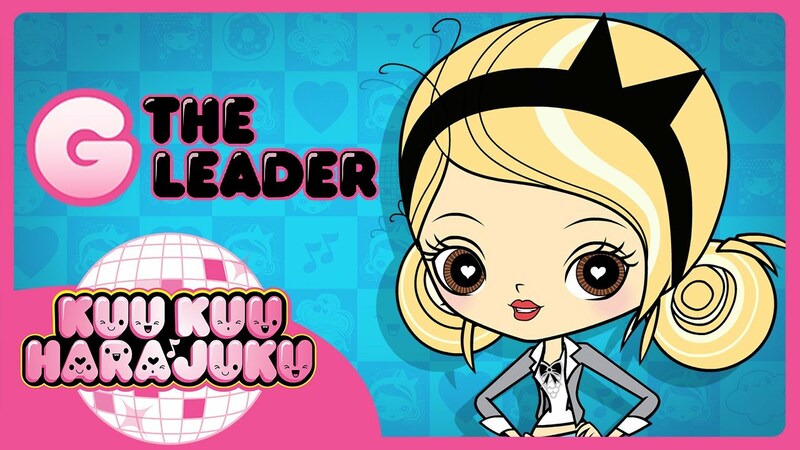 From the mind of Gwen Stefani comes the world of Kuu Kuu Harajuku! Say hello to HJ5! A super cool band made of five super cool girls! Love, Angel, Music, Baby and their inspirational leader G love to sing, dance and sport the latest kawaii fashions (Kawaii is “cute ” in Harajuku speak)! With help from their loveably incompetent manager Rudie, HJ5 travels all over to put on shows for their fans! Although they are totally talented, every time they start a gig, something wild and crazy happens before they finish the first bar! I mean, it’s not easy performing while you are being attacked by space aliens, adorable (and ravenous) monster pets OR hunger (you don’t want to mess with Baby when she’s hangry). No m atter what challenges come their way, they always work together to save the day! KIDS FIRST! Film Critic Morgan B. comments, “The perfect animation colors and style make this concoction a work of art that is pure genius. 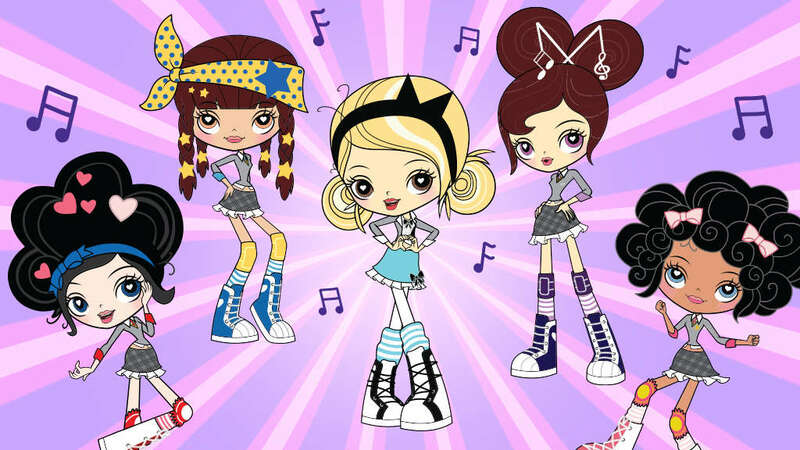 This is an adorable fun world full of fashion, original songs and five smart girls with problem solving skills and teamwork.” Kamryn B. adds, “Kuu Kuu Harajuku is a jamming new TV series that is now available on DVD. This show is filled with humor and adventurous episodes. The vibrant colors make the show even more “Kawaii,” the Japanese term for cute.” KIDS FIRST! Juror Rachael V. wraps it up with, “This program was ​co-​created by Gwen Stephani (No Doubt) and you can really tell. It’s extremely girly and stylistic and the music is fantastic.” See their full reviews below. The adventures on this DVD are crazy and humorous! The perfect animation colors and style make this concoction a work of art that is pure genius. 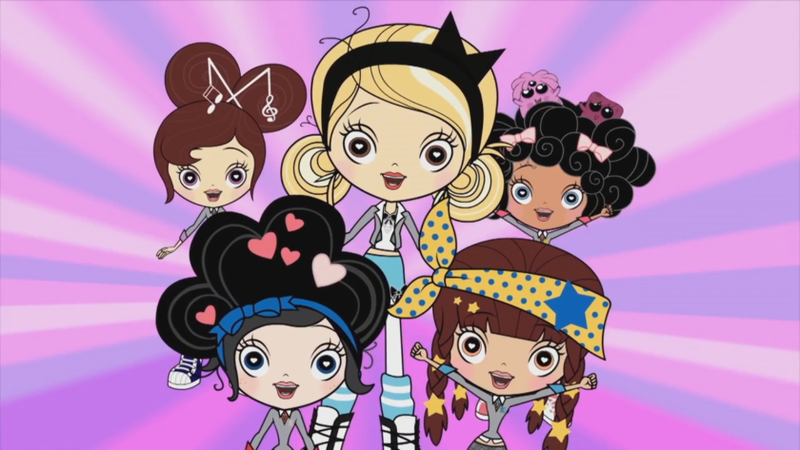 This is an adorable fun world full of fashion, original songs and five smart girls with problem solving skills and teamwork. I adore the likable, optimistic characters including G (Maggie Chretien), the leader of the band HJ5 who is ready for a challenge at all times. She believes nothing is impossible. This is why she is my favorite character. Fun fact: G is supposed to be represent Gwen Stefani in encouraging young girls to become themselves and to have faith in each other as well. Baby (Charlotte Nicdao) loves everything and just wants to give everyone a hug and talk things out. Love (Daisy Masterman) is the brainiac. She knows her technology and her brain is big and chocked full of knowledge. She is one smart cookie. Music (Sally Taylor-Isherwood) is the sarcastic, sassy one who knows what to do and when to do it. Angle (Emma Taylor-Isherwood) is the girl to call on when you need an outfit for an event. She loves fashion and shopping. They all want the best for each other while they try to make it as a girl band. They are true to themselves and believe every problem has a solution. The voice-over talent is fantastic. They know how to bring out the perfect tones for each character. Gwen Stefani is the executive producer and along with her, many other wonderful actresses are a part of this crew. Lessons to be learned from the show are inspirational and helpful. HJ5 helps kids learn to be themselves and accept who they are. That is what makes this show so special. People are all different and have a unique quality about them. The world would be boring if everyone was the same. We should accept each other’s differences. It is okay to be different. Embrace our differences and have fun with it. That is what makes you who you are and what makes you special and unique. 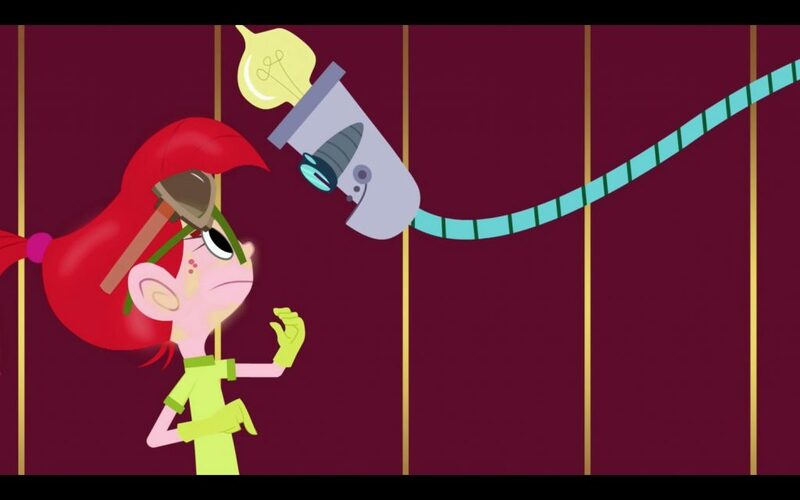 Phony ponies is the cutest episode. It reminds me of the Kentucky Derby because of the hats that they wear, like the actual Kentucky Derby. My mom and I always wear crazy hats and watch the horse races. Team work is a great theme for this show. The music is originally and catchy. It makes you feel good and you want to sing along. The animation is perfect as are the colors and style. All the colors are eye catching and fun. On the other hand, the style is perfect. I love the complex shapes and details and the way that they make it all work together. I recommend this funtastic DVD for ages 4 to 12. For kids who love music, fashion and adorableness, this fabulous DVD will be a hit. I give it 5 out of 5 “Kawaii” (Japanese for cute) singing stars. This DVD comes out on June 13, 2017 so, keep your eye out for it. 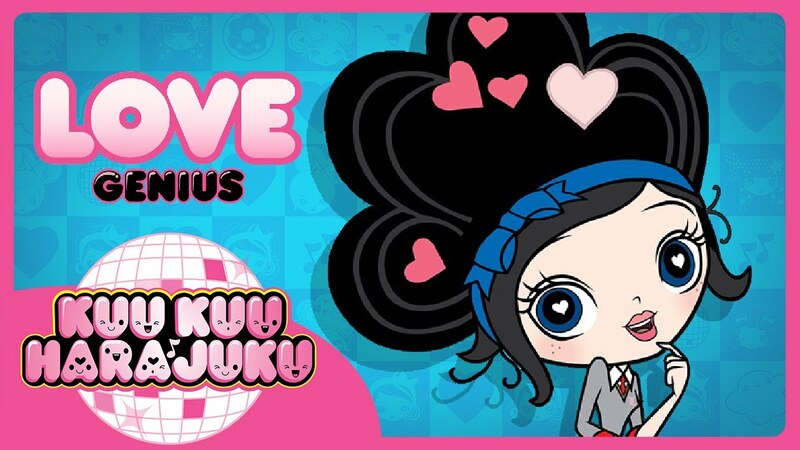 Kuu Kuu Harajuku is a jamming new TV series that is now available on DVD. This show is filled with humor and adventurous episodes. The vibrant colors make the show even more “Kawaii,” the Japanese term for cute. The characters Music, Baby, Love, Angel and G experience different puzzling situations together as they sing to their accumulating fan base. Their unorganized manager Rudie and General No Fun are always trying to ruin the band’s plans. This show was created by Gwen Stephanie based on her Harajuku Lovers brand. Steve Aranguren, Gillian Carr and Madellaine Paxson are credited as co-developers. The cast includes Charlotte Nicdao as Baby, Emma Taylor-Isherwood as Angel, Daisy Masterman as Love, Danny Smith as Rudie and Sally Taylor-Isherwood as Music. I commend the voice actors for the way they make the characters’ emotions seem real. The animation is quite unique, compared to other animated shows. The show has multiple shades of purple and pink that would make any girl squeal. The characters are all quite unique and well defined. G, the leader of the band, helps the group focus on the task at hand. Whenever General No Fun gets in the way of fun, she helps figure out a way to have fun despite his intentions. Since their manager Rudie isn’t much help, G has an important role to play. Baby is childish and knows what’s cute and what isn’t. Love has all the smarts to create a formula of success. Angel is the fashionista who wears all the newest looks and styles. And Music is my favorite character because of her sense of humor and a hint of sass. My favorite scene involved Music in one of the episodes when she suspects something fishy is going on that would negatively affect the band. Music does her best to protect her friends. The different episodes evoke a different message. One that I resonate with is the idea of teamwork and working together as a group. It also emphasizes that people should not be ashamed of who they are or what they love to do. I give this DVD 4 out of 5 stars. The animation is great, the characters are lovable and enjoyable. I recommend this DVd to kids age 5 to 10. This DVD comes out on June 13, 2017 so, be sure to check it out. Reviewed by Rachael Vickers, KIDS FIRST! Adult Juror. This program was ​co-​created by Gwen Stephani (No Doubt) and you can really tell. It’s extremely girly and stylistic and the music is fantastic. It’s about a band called HJ5​. It has a real cutesy Spice Girls meets My Little Pony feel to it. The girls are always running into problems while trying to do a gig. Nothing seems to go their way, but because they are such great friends they always find a way to salvage the day. There is an adorable episode called Baby’s Birthday. Baby is on the girls in the band and it’s fun watching the other members scrambling to make this day worthwhile for Baby. This is definitely not a program that I ​think​ boys would ​particularly enjoy. There are ​no action moments​. It is all heavily focused towards girls​,​ which is fine.​ The music is great and ​it ​has a fun pop sound. The animation is ​quite ​good and ​the storyline flows well. I ​recommend this for ages 4 through 11 and give it 5 out 5 stars for really teaching girls to be tough and stay positive! You are currently browsing the KIDS FIRST! News weblog archives for June, 2017.